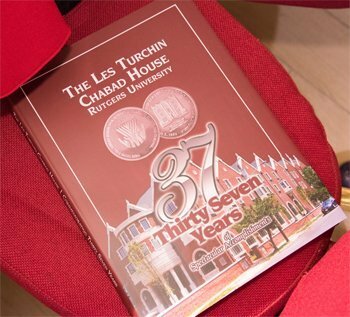 It gives me great pleasure to congratulate the Chabad House at Rutgers on its double Chai Anniversary. This recognizes 37 years of providing a home away from home for young Jewish adults at an extremely pivotal time in their lives. Through creating a nurturing wholesome environment that fosters a love of yiddishkeit and a commitment to Zionism, Chabad is helping to create tomorrow’s Jewish leaders and families. On a personal level, I have had the great privilege and pleasure of getting to know Rabbis Yosef and Mendy Carlebach during my tenure as Israel’s Consul General. During their trip to Israel with Governor Chris Christie, I first noted their pluralistic and inclusive mindsets, their indefatigable energy and their incredible creativity. Since then I have grown to respect their professionalism and treasure their friendship. Recently, I enjoyed sharing a special moment with them when I presented a letter and flag from Prime Minister Netanyahu to the Governor in his inner office. The Chabad House at Rutgers University has been extremely proactive in combating anti-Semitism and anti-Zionism on campus and it has been my pleasure to collaborate with them in these efforts. 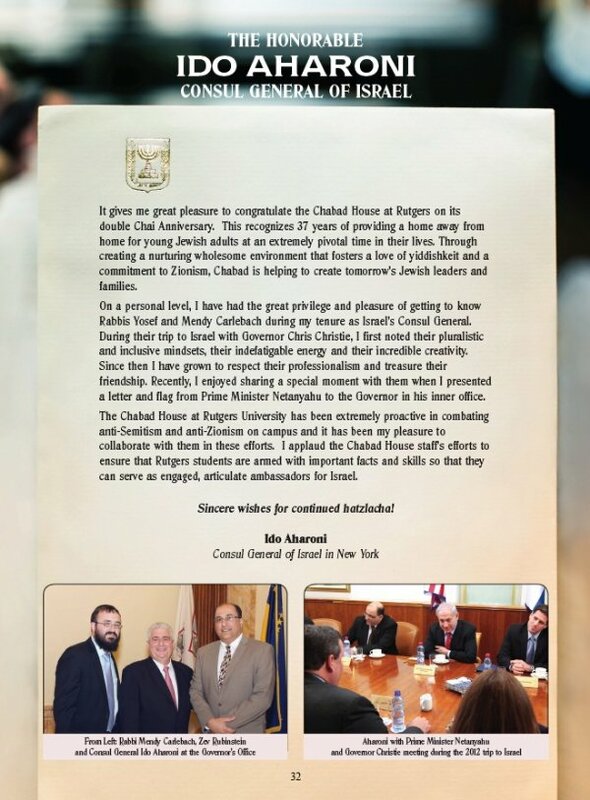 I applaud the Chabad House staff’s efforts to ensure that Rutgers students are armed with important facts and skills so that they can serve as engaged, articulate ambassadors for Israel. Sincere wishes for continued hatzlacha!